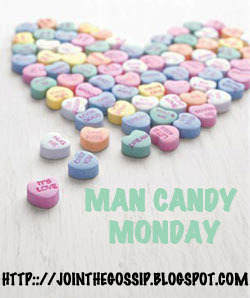 Hello, faithful Man Candy Monday readers/participants! After a year of Monday mornings filled with hot men, I've decided that next week will be the last Man Candy Monday. It was a blast and I (personally) had fun learning more about hot celebrities, but less and less people are linking up each week - which is totally understandable! Not going to lie, I have a hard time thinking of who to feature after 52+ plus weeks of these posts. So be sure to stop by and link up one last time next week! To replace Man Candy Monday I'll be hosting a weekend recap link up. 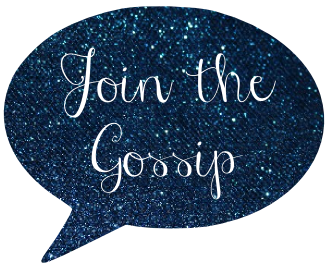 If you blog about your weekend, you can link up! That easy! The first edition will be on Monday, June 4 for the long Memorial Day weekend. Hope you can join me. Not onto some hot actor action! Although I'm pretty sure a good majority of readers won't know who Nick Zano is, I've thought he was a heartthrob since his days on "What I Like About You". Amanda Bynes may have been the bigger star at the time, but seems like roles have reversed (with her DUI last month and now Nick's guest appearance on 90210). So without further ado, let's get the rundown on this man candy. Split with long-term Haylie Duff in November 2011. -Held jobs as a lifeguard and Kenneth Cole shoes salesman. -Casted in a 2007 remake of "Revenge of the Nerds" with Adam Brody, but the project was cancelled. -Also writes, directs, and produces. Link up and share your current crush with the rest of us! Oh yes, always liked him!!! Especially since What I Like About You. And oh so sad there's no hot man candy anymore after next week's...but then again it is understandable. So hard to find the hot dudes we haven't covered. Definitely hot! And I like that he's older than me, hahaha. Sometimes it's good to grow out of things, but MCM was totally a blast while it lasted! Thanks for hosting all this time! LOVE him! I loved What I Like About You and the only reason I watched 2 Broke Girls as long as I did was for him. I’m bummed the linkup is over, but I totally get it. I’ll still be posting about hot guys now and then! I’ll be sure to link up next week! Good pick! Didn't recognize but he is very nice to look at! totally pinning to my wall of hottness lol. Love Nick Zano! I was floored when I found out he was 30-something. He looks so young to me! So gorgeous! I love Nick Zano! His character on 90210 annoyed me.. although everything about that show kind of annoys me. Yet I keep watching hahah. I loved him on What I Like About You!! So bummed to be popping by on your last man candy post! Nick Zano just made my Monday! Oh. Wow. He is easy on the eyes to say the least! Wow he looks so much like Brad Pitt in that first photo with the newsboy hat! Nick is hot! Good choice. It's still hard to believe that he was with Kristin Cavallari and she had her initials tattooed on her wrist. I loved this series (mainly because we had the same taste in men) and I'm sad to see it go. You kept up this series for 52 weeks, that's awesome. I can't wait to see who you have in store for the final MCM. Love the idea of a weekend hop! he always is a looker that is for sure! i loved him on what i like about you, i miss that show. what is going on with amanda bynes by the way? I have such a long list of MCM inspiration, but I never get around to posting, so that's my bad. I'll miss the man candy, I admit... But stoked about your next roundups! And, oh, Nick Zano. Be mine. He is a cutie! I've seen him on 90210! What a cutie! Sad this is the last one!